I am a Director of CRE Brokerage Department in Colliers International. Together with my consultants team we manage lease transaction processes across retail, office and industrial sectors. My main specialization as a professional advisor is office occupiers’ solutions. I provide - representation services to corporate clients. Advice on RE strategies tailored to your business needs including optimal location, lease module and negotiation of commercial terms. Overall support and after care. Executive MBA in Business Management ISM 2018 - 2019. Bachelor’s Degree (Honours) in Property Studies of GMIT, Ireland Participation in various conferences, seminars and trainings related to real estate field. Colliers University Camp. 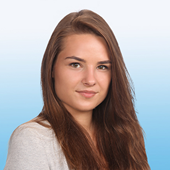 It has been a pleasure to work with Sandra Jovaisaite who as an employee of Colliers International, has helped our company to open a new office location in Vilnius city, and helped us with all additional facility needs. Colliers International gathered and analysed our requirements to present us tailored solutions to our short - long term real estate needs. We were happy to receive proactive and professional help during the lease acquisition process. Sandra was the local real estate project leader and she did an excellent job monitoring the overall process and progress, and her attention to details led us through-out the whole process very smoothly. I would not hesitate to recommend Sandra for any prospective task, as she met all our expectations regarding search, proposals, negotiations and process fulfilment perfectly. I wish Sandra the very best in her professional career, as she is an exemplary representative of her profession. We were advised by Colliers International in selection of our new office location in Vilnius city. We received professional and fast service to accommodate our tight deadline for project launch and finding office space offering high accommodation standards. We are happy with chosen location and are happy to recommend Colliers International as a trusted real estate partner. We were very happy with provided market overview and would recommend Colliers International as a real estate consultant. NASDAQ, Avon, GM, Teleperformance, Quintiles, Sanofi, Tieto, IF, Freywill, Provident, Medinbio, Exadel, Lindorff; Hella, Hollister Inc., Yara. Subjects: Valuations; Market Research; Real Estate Law; Planning; Taxation; Economics; Finance; Business Management; Financial Markets. Rugile is a Junior Consultant at Brokerage Department who joined Colliers International in May, 2018. Rugile is a part of Retail team and is responsible for for commercial real estate lease. 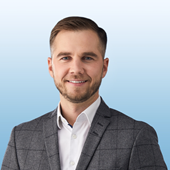 With more than 8 years of experience in real estate, I have been specializing in Lithuanian industrial and logistics sector for the last 2.5 years before joining Colliers International team.